How to select the best color, font style and design of the recommendation boxes? We suggest to use the settings that you have in your Shopify theme so that the recommendation boxes look good with your theme. 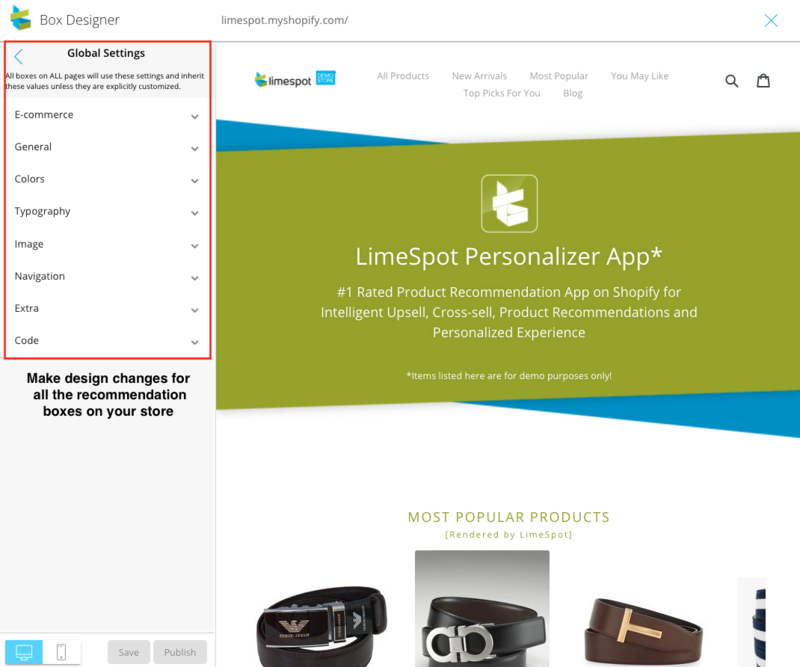 To make any design related changes please navigate to Personalizer > Setup and click on the blue Customize button on the top right hand corner of the screen. 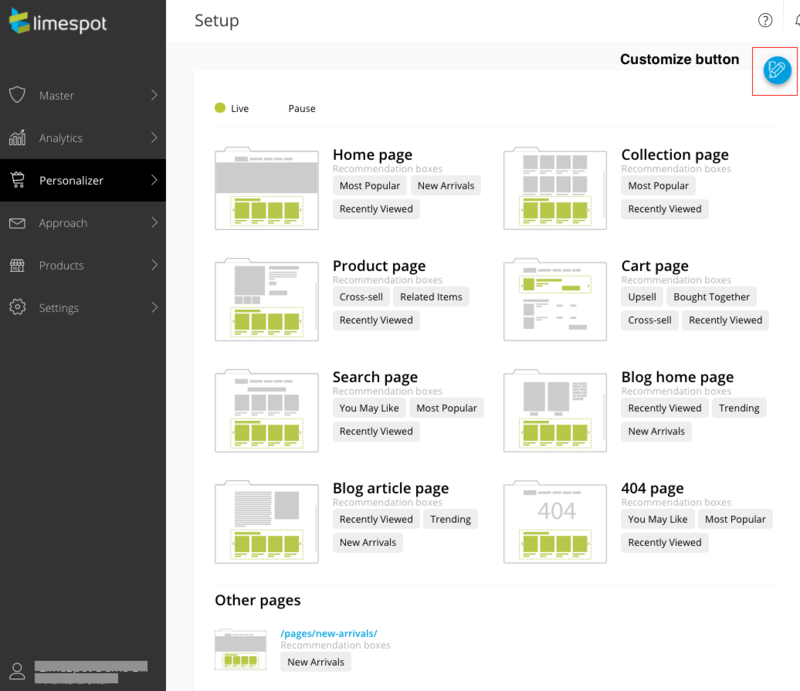 Here you will be able to a see a preview of your site on the right panel and a box designer panel on the left. Click on the Global Settings menu. Under this option you will see a drop-down menu with different options (i.e. Colors, Typography, Image etc.) to customize your boxes. NOTE: Any of the changes done in the Global Settings is done for all the recommendation boxes on all of your store's pages. Use this panel to changes colors for elements like Product Titles, Prices, Sale Tag, Add to Cart button and Next/Prev Button. Use this menu to change the typography (i.e. 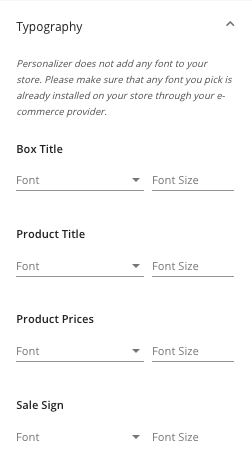 font family and font size) of the Recommendation Box Title, Product Tiles, Prices and Sales Sign. Note: If you cannot find a particular font style, you can choose the Custom option and manually input the font family that matches your store. You can use this menu to change the image size, space between the images (margin right) and rounded corners (border radius) of the images in the recommendation boxes. Note: Need to add more CSS code for our recommendation boxes, you can go to this article to see our different classes.